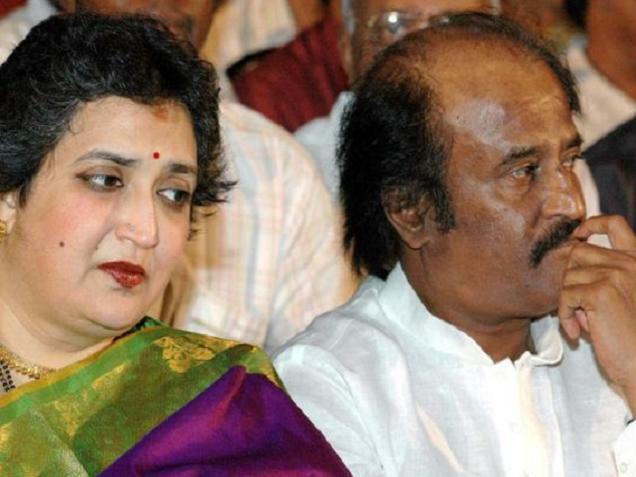 South superstar Rajinikanth‘s wife Latha Rajinikanth is embroiled in legal controversy. A case of forgery and cheating has been registered by the Bengaluru police against the wife of south Indian matinee idol. The film that led to the mess is the 2014 Rajinikanth starrer ‘Kochadaiyaan’. Kochadaiyaan hit the theatres last year, and featured Rajinikanth and Deepika Padukone in pivotal roles. The film was directed by Rajinikanth’s daughter Soundarya R Ashwin. The FIR was registered on Monday following directions from the jurisidctional ACMM court, hearing a case filed by a private firm. A company, which had provided money to finance the movie had charged Latha Rajinikanth with ‘fraud’ and ‘double selling of the rights’ of Kochadaiiyaan. The firm tasked with the post-production of ‘Kochadaiiyan’, had alleged that after they financed the for completion of the film, Latha Rajnikanth who stood as a guarantor, sold the distribution rights of the film to another firm for Tamil Nadu area, while the private firm was promised a distribution agreement in return for their funding. We shall keep you updated on this soon.